With this heat wave, a well-chilled wine is very welcome. But sometimes at an impromptu get together, you’ve inadvertently chatted through the only cold one. Emergency measures are called for. Do you throw a bottle in the freezer, drink it warm or resort to ice cubes? What’s the quickest way to chill wine? The answer, my friends, is freezers are slow, freezer wine jackets are better but a bucket full of ice, water and plenty of salt will get you there in a New York minute. Or even quicker and less messy are ice cubes in the glass. Is it a faux pas to put ice cubes in your wine? Many wine gurus believe that putting ice cubes in your wine glass is a mortal sin. In an article I recently read, putting ice cubes into wine was cited as the most annoying customer habit by many sommeliers because unless you’re drinking super-fast, which is even more annoying, the ice melts and dilutes the flavors. And yet, all over France, the holy grail for wine, a common restaurant practice is to serve a pitcher of water and glass of wine with lunch. The water is to dilute your wine to your liking and still function after lunch. In some warmer climate countries (think Greece), it’s common to be offered ice when served a white or rosé at those outdoor cafes. Even the producer of Dom Perignon has released a wine to be served on ice. Moët y Chandon’s Ice Impérial Rosé has instructions on how much ice to use. Wonder how hard that is for some of those sommeliers to swallow? I like the panache of putting frozen peach slices or grapes in your wine glass. They’ll chill the wine without diluting it and you’ll get the added benefit of a little extra flavor and fiber in your wine diet. Trendy canned wines have the added benefit of being quicker and easier to chill. They have the convenience of a cheap American lager and make hiking and biking less strenuous. You can chill it in the creek without fear of breaking the only wine you hauled up countless switchbacks for hours. My belief is you can do whatever you want to your wine as long as it makes you happy. That, after all, is wine’s purpose in life. A sparkling or slightly sparkling – frizzante in Italian – is always refreshing. At the Red, White and Brews awards one of my favorites, Treveri Cellars, was pouring their Blanc de Blanc, Blanc de Noir and for those of you who like red wine, Syrah brut. Another sparkling there was Den Hoed Wine Estates’s Proost Zero Dosage Blanc de Blancs. It was delicious. Zero dosage means the wine was topped up without the usual dosage of wine and sugar syrup that normally would happen after the plug of dead yeast cells is removed and before the final cork and bale are put on. Proost (Cheers) is produced from Chardonnay grapes. The extended aging means complexity with aromas of minerals and brioche and flavors of citrus, toast and yeast. The winemaker is from Champagne, living in the mountains of New Mexico, making delightful bubblies. Another New Mexican sparkling wine is Gruet Sauvage Blanc de Blancs. This is wonderfully refreshing, bone dry with green apple and lemon zest flavors and aromas. Take a bottle to your favorite sushi bar. Vinho Verde is Portuguese, naturally spritzy with low alcohol (around 9%). It’s the ideal hot weather wine from a blend of several white grapes including Alvarinho and a handful of other grapes that produce a wine with flavors of limeade, green apple and citrus. Picpoul is a French Languedoc grape known for its high acidity. It’s making a revival even in Washington state. 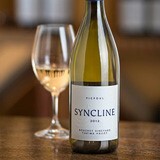 Syncline Picpoul comes from the renowned Boushey Vineyard. Refreshing, complex with quenching acidity. Winemaker James Mantone did a whole cluster press of the grapes before racking into a stainless steel tank to age. Mantone was awarded 2018 Winemaker of the Year at the Red, White and Brews Awards. Guardian Angel Sauvignon Blanc is gorgeous wine. It’s zippy, juicy and downright delicious. The grapes come from another renowned vineyard, Klipsun on Red Mountain. It’s fermented eight weeks in new French oak and then to stainless tanks. This juicy wine has a wonderful array of citrus with grapefruit, lemon zest, lemon curd and a hint of vanilla. Shrimp or Crab salad would be heaven with this wine. Two Vintners 2015 Syrah received Best Red Wine of the Year at the Red, White and Brews Awards. Fortunately, the willingness to do unfashionable but delightful grapes brought us Two Vintners 2017 Grenache Blanc. It’s an exotic white grape bright with acidity and brimming with citrus and melon fruit flavors. From the renowned Boushey and Olsen Vineyards with 12% Rousanne in this Rhone style blend. Whoa! Gotta go. There’s a wine slushy in the making to rescue. Find more refreshing, cold wines including Rose’s and a few chillable reds to explore on the blog, Cheers to you Kitsap! p.s. See you at the Kitsap Wine Festival August 11th? Chardonnay was the very height of fashion in the ’80s and ’90s. It’s still the queen of whites especially when Hood Canal crab season rolls around. A green skinned grape, Chardonnay is a low maintenance vine that adapts to a variety of climates resulting in fairly high yields worldwide. Those high yields translate into millions of bottles of many different styles. The price of Chardonnay? Anywhere from $4.99 to a pinky-up Corton Charlemagne for upwards of $300. However, there are still some people that haven’t tried it in 20 years. Tough to understand when you consider the many diverse styles produced worldwide. You just have to know the style you prefer and host a blind tasting. The grape is a winemaker’s playground when it comes to fermentation and aging. Whether fermented in stainless, barrel or concrete vats, each produces a distinct style. Chardonnay can be aggressively oaked or a big, buttery bomb from malolactic fermentation. It could be fermented in a stainless steel tank for a crisp, clean white wine that pairs well with a sharp cheddar and apple slices. Having a clear mission, a blind wine tasting was organized with wine lovers, oaky Chardonnay lovers and me. At the top of the oaky Chardonnay loving list is my wine buddy, Brynn Grimley who started this column and blog several years ago with a little help from her wine buddy – me. Brynn loves Chardonnay, the oakier the better. I, however, am not a fan of oaky Chardonnay. She’s evolved. I think you’ll find our notes amusing no matter what we profess. Ground rules: You don’t have to like it. You can pour it out but you have to try it and render an opinion whether it’s a simple thumbs up or down or something more effusive. Your favorite wine may be the one that others don’t like, that doesn’t make them right and you wrong. Each taster is poured an ounce or so and can revisit their favorite(s) after tasting all six. The wines were tasted older vintage to newer vintage. Everyone had the same style glass, so no variations there. Below are my translated notes, the Big Reveal follows. 1) Very deep gold, delicate aromas and faded fruit (definitely a wine with age). Lovely bit of spice on the finish. One taster declared it was the best Chard ever. Many liked it. 2) Gold, muted aromas, subdued fruit, took much swirling to open up then aromas of caramel and some butterscotch on the palate. After more swirling, less caramel and more spice on the palate. 3) Light gold color. A better balanced wine with aromas of spice that follow through on the palate. Crème brulee flavors, good depth and a lighter gold, hints at a newer vintage. My fav so far. 4) Light straw color, no detectable oak, more peach, pear and ginger spice. Beautiful complexity with layers of acidity, minerals, flowers and spice. Very impressive! 5) Aromas of tropical fruits, with layers of minerals, crème brulee, stone fruits. My fav so far – charming from the start with balance and complexity. 6) Light straw color. Mineral and bready with pear and lime zest in the back ground. Mouthwatering, straight forward, and easy to quaff. Winemaker’s notes: “This vineyard ripens relatively early and exhibits intense flavors of melons and apples. Enhanced …. with barrel fermentation, malolactic fermentation and aging in French oak to add complexity. The name produced a Whaat! This generation of Gallos has a different winemaking program that their Italian heritage grandparents Ernest and Julio, who launched some 80 years ago. Shafer has been cultivating this sustainable vineyard since the late 80s. Carneros covers the southern portion of the Napa and Sonoma AVAs, where the gently rolling hills are cooled by breezes from San Pablo Bay. This 13-year-old was barrel fermented and aged in oak. “The winter was warm, budbreak was early and 2016 never looked back – bloom, veraison and harvest were all early records.” Out of Newberg, this estate grown wine is Salmon safe and certified sustainable. Fermented in stainless steel tanks with native yeasts and aged 8 months in tank. Winemaker Kristen Barnhisel makes this Chardonnay from the “sustainably farmed, cool, windy Arroyo Seco vineyard in Monterey County. Malolactic barrel fermentation with sur lie ageing…” and the price made this my favorite, so far. Produced by Tony Rynders, an acclaimed winemaker with a master’s degree in Enology and Viticulture and a world of experience in Napa, Italy, Australia and now Oregon. In the 60s and 70s, some California winemakers labeled their wine Pinot Chardonnay because they thought it was another Pinot mutation like Noir, Grigio, Meunier, and Blanc. At first, I thought Rynders was being quaint. But after I read his label, I discovered this wine is 70% Chardonnay and 30% Pinot Noir. Just like they do in Champagne only this one doesn’t have the bubbles. This is so worth slipping it into your next blind tasting. Being an oak lover, my two favorites were the Shafer and the J. Lohr. The Chateau Ste. Michelle was too old. I bet it was a fantastic wine in its prime but, to me, it was over the hill. The stainless Chards were not my style, which is too bad because despite being an oak lover, I do love a crisp Chardonnay. While I enjoyed the Shafer best, I was really hoping for a Chardonnay that blended all the styles in one bottle, hints of the warmth that oak imparts as well as the minerality and the crispness of apple and pear. After some years of experience, the oak lover and the not-so-much-oak wine lover liked the same wines the best. Riesling is a grape of many ways. It can be dry from a fermentation that consumes all the fruit sugars, it can be still or sparkling. Some evolve gracefully from time spent aging in a bottle, others in a great big tartrate lined oak barrel that has been used for centuries. The interior of these barrels gives the wine a distinct mouthfeel that is definitely not anywhere near oaky. Many people think Riesling is sweet and it can be. But there is so much more to it! Riesling can be semi-sweet or semi-dry, sweet or even real sweet as in dessert. It can be crisp and it can have a wonderful minerality. It’s a very versatile grape. And the Germans and Alsatians have been perfecting this for a few centuries. The wine classification system in Germany is highly organized and much can be learned about the wine’s pedigree by reading the label. The German Wine Law of 1971 is strictly adhered to in Germany’s delineated and registered vineyards and the grapes from these vineyards can be used to make wine of the different quality levels, that are determined by the ripeness, or must weight (more sugars make a heavier must) of the grapes. In Germany, sugar levels at the time of harvest are an important consideration in the Qualitatswein (quality wine) production. The sweetness of the wine is categorized using terms that describe the ripeness of the grapes such as Kabinett, Spätlese, Auslese, Berenauslese, Trockenberenauslese and Eiswein. Equally important is wine’s acidity which is made possible by the cool nights on the steep ridges of the Mosel, Saar and Ruwer Rivers off the Rhine River where some think the best Rieslings in the world are made. Acidity is yang to the Riesling’s sugars yin. You must have an equal amount of both to make a balanced wine. There are two types of acidity, malic acid and tartaric acid. Malic acid is the softer rounder acidity. Similar to the mouthfeel of a nice cold glass of half and half. Tartaric acidity will bring a snappy citrus crispness to your wine. In cool years, waiting until November to harvest Riesling is a high stakes gamble. If the birds don’t make off with the harvest, the longer hang time and cooler weather concentrates the sugars and the acidity levels definitely rise. Hundreds of years of practice at making wine in a cold climate was an exacting science for German winemakers. They measured the fruit sugars, the acidity and always keeping an eye on the thermometer, both inside and out. Before refrigeration, wineries could and did stabilize the wine with the weather, the low temps in winter would halt fermentation and leave the wines with natural sugars and a resultant lower alcohol. High levels of both acidity and sugar are necessary if you intend to age a Riesling. Riesling acquires more depth and breadth as it ages. If the levels are high, after ten or so years, they could precipitate out into “wine jewels” little tartaric deposits in the bottom of the bottle. I recently shared (wine is always better when shared) a bottle of a Selbach 2003 Zeltinger Himmelreich Spätlese from my cellar. Reading the label word by word, Selbach is the producer. Himmelreich is the name of the town where the vineyards lie and Himmelreich is the name of the delineated vineyard. Finally, Spätlese is the name of the style the wine according to the strict law of the Germans. It was magnificent with the lemon, ginger and white pepper cake. Another you may be familiar with is Dr. Loosen (In German, double vowels are never both pronounced, only the second vowel is used) 2016 Wehlener Sonnenuhr Riesling Kabinett. A delicious, lip smacking wine with everything. Spice, minerality, floral notes and lovely fruit. The Langguth family winery was founded in 1789 by Franz Wilhelm Langguth. They have expanded from the Mosel to five continents. They also own the famous Blue Nun brand and is in the top five of German wine producers. 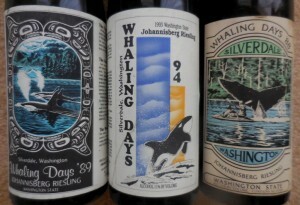 In the early 1980’s, they made the move to Washington state to try their winemaking knowledge on Riesling. They invested a heap of money to build a very huge winery in Mattawa. It opened in 1982. Jurgen Grieb, a graduate of a German winemaking institute, was imported to be the winemaker. Weinbau Vineyard, a 460-acre vineyard was planted in 1981 as part of Langguth Winery. Alas, some good wines were made but after a few years they were out of business. Weinbau is now part of the Sagemoor partnership, the huge winemaking facility is a custom-crush winery and Jurgen Grieb liked Washington state enough that her stayed on to open his own winery, Treveri Cellars in Wapato. Treveri Cellars Sparkling Riesling is, in the German tradition, 100% Riesling. From Washington’s oldest AVA, Yakima Valley, this sparkling wine is semi-dry and like any of their sparkling wines, perfect for every occasion. One other enormous German influence on Washington Riesling comes in the form of a partnership between Chateau Ste. Michelle and Dr. Loosen. Eroica Riesling was launched in 1999 and is 100% Riesling primarily the Ancient Lakes AVA. The winery describes the name best: “Named for Beethoven’s Third Symphony, Erotica reflects not only its variety and site, but also its heritage: bold and forward from its Washington roots, elegant and refined from German inspiration.” Well said. Much like Bordeaux, the Loire Valley was part of the dowry the beautiful, talented and very rich Eleanor of Acquitaine brought to England when she married Henry Plantagenet in the 12th century. She was responsible for jump starting the French wine trade in England and spent a number of her sunset years in a nearby nunnery, Fauntevraud, seeing that young women were taught to read and write. One of her five sons, Richard the Lion-hearted was buried there rather than a cathedral in England. But that’s an interesting tale for another time. The Loire River is the country’s longest river, running from the middle of France west to the Atlantic Ocean. Along the river and its four tributaries are captivating castles once majestic and sumptuous, which former French and English kings, queens, mistresses, dukes and cardinals had built and called home. In these castles, historic Treaties and Edicts were written and signed. At Chinon, Charles VII and fourteen year old Joan of Arc met and discussed the state of the nation, Ussé Castle was the inspiration for the fairytale of Sleeping Beauty and Villandry and Azay-le-Rideau have the most stunning formal gardens with the requisite attending army of gardeners. The area is a must for your bucket list. This beautiful rolling river valley in northwest France is also home to some of the world’s most famous white wines. Vineyards are planted near villages with enchanting names like Manetou-Salon, Pouilly Fumé, Anjou, Coteaux de Layon, Bonnezeaux, Sancerre and Vouvray. And none of these famous vineyards are planted to Chardonnay. With the east west orientation of the river, the Atlantic Ocean clearly has an effect on the quality of the region’s wines—more so than Bordeaux, located just south of the Loire Valley. In cool vintages, it takes longer to develop the grape sugars needed to balance the naturally high acidity in these grapes. The Loire Valley has three distinct wine regions, the Pays Nantais on the western end, the middle Loire and the upper Loire. The upper Loire is also known as the Central Vineyards because they’re centrally located in France. Allowed white grapes in this valley are Melon de Bourgogne (Muscadet), Chenin Blanc, and Sauvignon Blanc, which account for more than half of the wine from this region. Approved red grapes are the native Grolleau, Cabernet Franc, Pinot Noir and Gamay. Sauvignon Blanc and Chenin Blanc are the two most widely planted grapes. Sauvignon Blanc is grown in the Central Vineyards from around the villages of Pouilly Fumé, Quincy, Menetou-Salon and Sancerre. Chenin Blanc is grown in the middle Loire’s Touraine and Anjou-Saumur regions around the villages of Vouvray, Montlouis sur Loire, Saumur and Coteaux de Layon. Winemaking in the valley is generally done without barrel ageing or malolactic fermentation. The wines have enough natural acidity to be great food wines. Chaptalization is permitted here. This winemaking technique of adding sugar to the fermenting wine helps compensate for the lack of grape sugars that balance the high acidity in difficult years. For red wines, there’s other techniques used such as extended skin maceration for more color, flavor and tannins. Pinot Noir both in a red and rosé styles are lighter in color and flavor than found in other parts of the wine world. Cabernet Franc is also lighter in color with more herbaceous aromas and flavors. In riper vintages, Loire reds will develop more fruit aromas and flavors and lose that herby component. Once considered the quintessential white restaurant wine, Sancerre is considered among the finest location in the world to grow Sauvignon Blanc. Here the soil plays a big part in flavor development. It’s limestone with oyster traces and siliceous soil accounts for the wonderful flinty aromas and flavors. During cool vintages, Sauvignon Blanc wines are lighter in color, less fruity and have a more pronounced herbaceous component. This style makes the wine the perfect companion to salads especially with goat cheese, salmon pate, poached white fish with buerré blanc, Oysters Rockefeller and other delectable shellfish recipes whether steamed, fried, grilled, stewed or raw. Sancerre reds and rosés are made from the Pinot Noir grape. These wines are lighter in style than other regions where Pinot Noir is made. Lighter fare such as salads with smoked trout, chicken or aged goat cheese would make a perfect pairing. Oddly enough, New Zealand is the only other wine region to produce Pinot Noir and Sauvignon Blanc in the same region. Chenin Blanc with its crisp acidity, is easily one of the most food-friendly wines of the world. It’s the classic brunch wine in that it pairs well with everything on the buffet. 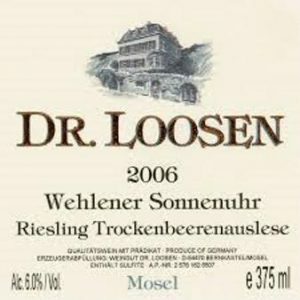 The range is similar to Riesling; it can be dry and austere to rich and sweet as well as everything in between. It can be still and it can be sparkling. Chenin Blanc reaches its most characteristic expression in the Anjou-Saumur and Touraine regions in the middle Loire Valley. Vouvray is the world’s most popular Chenin Blanc but Anjou, Saumur and Savenniéres produce great ones too. Quarts de Chaume, Bonnezeaux and Coteaux du Layon all produce stunning desert wines from the Chenin Blanc grape. Saumur’s most important wine is Saumur Mousseux, a well-priced sparkling made from Chenin Blanc. In the Pays Nantais region of the Loire Valley, the city of Nantes is surrounded by vineyards planted to the Melon de Bourgogne grape. Muscadet Sevre et Maine covers the area between the Maine and Sevre rivers, tributaries of the Loire river. Muscadet Sur Lie is produced by aging the wine on the spent yeast cells which adds body and complexity to this light bodied wine whose reputation with oysters is classic. A little known French gastronome once observed, “Cuisine is best when things taste like themselves. “ That brings Muscadet with oysters, Sancerre with Chevre and Vouvray with scallops to mind. And I know there is no better time to sample the wines of the Loire than when spring and summer cuisines converge. Cheers! Spring celebrates traditions and cultures and new beginnings. This month’s celebrations include the Passover, Easter and a birthday. Happy Birthday, Mom! Easter and Passover are time honored traditions filled with family, friends and feasting. At the Passover Seder, people of the Jewish faith celebrate their freedom from Egyptian slavery and Christians rejoice at their savior’s resurrection. 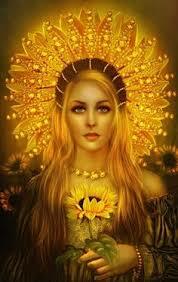 Pagans had their own springtime traditions that involved Ēostre, a Germanic goddess of fertility, bunnies and eggs. All this celebrating begins as Mother Nature sheds the cold, wet blanket of winter and displays the many shades and hues of green and the occasional clump of sunny daffodils. Spring brings verdant fare with fresher, lighter dishes and wines on our tables. From appealing asparagus wrapped in prosciutto, to fresh sliced radishes on buttered toast points or crackers, lemony sorrel, the zingiest garden green ever, sautéed leeks and morels, roasted spring lamb with fresh peas, new potatoes with chive butter, juicy, sweet strawberries and tart rhubarb, and the emergence of abundant mint family, there are many refreshing ways to celebrate spring. Spring wines can be complex wines. Color outside the lines with wines that are not your usual fare. Resist the urge to be safe! Be daring! Be adventuresome! The delicate flavors of spring wines have notes of herbs, grass and slightly tart fruit which are the perfect match for spring vegetables. The brighter the wine, the better the match. No new oak. These wines should be herbal and crisp; it’s lighten up time! Stainless steel fermentation insures a crisp and fruit forward flavor. Oak does not. Kosher wines are fairly plentiful and very good. They can range from big and hearty to lower alcohol, fruity Moscatos. From Italy to Israel to southern California, winemakers have been making these wines for decades. It’s not the perfect guideline for spring wines but wines that will age usually have a cork. Times have changed; screw caps do not necessarily mean bulk wine any more than corks signify high quality wines. No Chardonnays or Pinot Grigios. Here are my plucky proposals for spring whites. These are not the easiest wines to find, so go with the region or the grape. PINOT BLANC – This grape is a member of the mutant ninja Pinot family. Being a mutant ninja has to do with the ease that they can change skin color. The red skinned grapes are Nero or Noir and Meunier and the gray skinned grape is Gris or Grigio. White is Blanc or Blanco depending on where in the world it is made. Today, Pinot Gris or Grigio is more fashionable than Pinot Blanc. 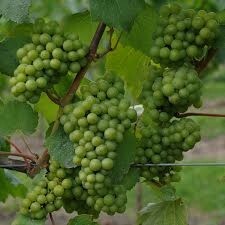 But Pinot Blanc has the body of a Chardonnay and an easy drinking style that is likely to surprise and delight. And it does not see oak! Instead, it spends time in a great big barrel that is more often than not, lined with centuries of tartaric crystals. I often recommend an Alsatian Pinot Blanc as a choice for seafood, vegetables and roasted chicken salads. As the third most mountainous country in Europe, Greece’s distinct topography enables the cultivation of 350 indigenous cool weather varietals in a warm weather climate. Somewhat unexpected after seeing all those movies of very sunny, sandy beaches in Greece. One of Greece’s greatest white wines comes from the MOSCHOFILERO (Mohs-koh-FEE-leh-roh) grape. The wine is super dry but has an aromatic and floral nose. It’s a great wine for spring entertaining. Most Moschofilero can be found in Mantinia, a region in the middle of the Peloponnese Peninsula. ALBARIÑO is native to Spain’s Rias Baixas region. It’s crisp, refreshing and reminds me of a blend of Riesling and Sauvignon Blanc. Albariño can be lovely with an exotic aromatics and crisp citrus character. That makes it great with fish with a sorrel sauce or ham and pea salad. Zingy in style, it has enough fruit for great balance. GROS MANSENG is a country white from Gascony, in southwestern France, and it delivers a terrific bang for buck. The Gros Manseng grape is filled with fresh, clean, herbal flavors and Armagnac brings more weight than most simple table wines. It’s hard to find a more versatile spring – or summer – wine. MENETOU-SALONS made from Sauvignon Blanc are in the grassy, minerally flavor realm. Its racy acidity is ideal for the tender spring vegetables. Hailing from the Loire Valley, where Sancerre and Pouilly-Fumé set the bar, the appellation of Menetou-Salon is just west of Sancerre. The chalky soils are similar to the vineyards of Chablis and the resulting flinty minerality of those wines. Pair it with asparagus and scrambled eggs or a pea risotto as a spring treat. VINHO VERDE is a fizzy Portuguese white. The fresh citrus and-herb packed flavors, low alcohol and fizzy personality make it the perfect spring wine. The lighter alcohol content is perfect for a light spring brunch of frittata, fresh fruits, and hot cross buns. PICPOUL, native to the Rhone Valley and Languedoc, tends to be crisp and green similar to a Sauvignon Blanc. Picpoul de Pinet from vineyards overlooking the Mediterranean Sea can show richness that makes them one of the best value choices out there. Use it to begin dinner as it pairs especially well with clam linguine, barbequed oysters or crab cakes. VERDELHO plays nicely with spring fare with scents of chervil and thyme and lots of citrusy brightness. It has sweet peachy flavors that add a bit of weight to the mouthfeel. The grape is Portuguese, but it has found home in California, where its ability to hold acidity in the heat make Verdelho a winner. It also shines Hunter Valley where it is blended to brighten up the mellower Semillon. Chill it up and pair it with sardines, olives or a chicken salad. Another grape to consider is the CHENIN BLANC grape from France, South Africa or Washington. It has a steely, aromatic profile with ripe peach flavors that pairs well with the season’s flavors. Consider a bottle of this with your smoked trout or fresh fruit salad. May your springtime celebrations be sunny with lighter fare and adventuresome wines! The name Walla Walla supposedly translates to “many waters,” but it’s more likely to be “waters waters” than “many many.” Or perhaps Walla Walla was interpreted as enough water for everyone, no water rights needed for the many. The Walla Walla Valley has the right dirt, “many waters” and abundant sunshine to support this particular agricultural bounty. Even when Washington was still a territory, grape cultivation and winemaking were part of the growing economy as early as 1876. In 1882, there were 27 saloons in town, selling jugs of wine and shots of cheap whiskey, in a town of 4,000. Alas, the burgeoning wine industry was cut short when the Northern Pacific Railroad bypassed Walla Walla. Their ability to sell their wines to other markets was severely hampered. And to further constrict the industry, in the freeze of 1883, temperatures fell to 20 below, grape vines were damaged and production was dramatically reduced. It would be almost 100 years before grape production began to ramp back up again and put Walla Walla back on the world wine map. In 1977, Leonetti Cellars opened its doors and received wide acclaim in the ensuing years. After putting in a few harvests at Leonetti, Rick Small opened Woodward Canyon in 1981. Next, in 1983, Jean and Baker Ferguson opened L’Ecole No. 41, Eric and Janet Rindall’s Waterbrook released their first vintage in 1984, Patrick Paul in 1988, Canoe Ridge in 1993, Glen Fiona and Walla Walla Vintners in 1996. And wineries just keep opening. Today, there are around 77 wineries in downtown Walla Walla, at the airport, on the east and west sides and south into Oregon. Walla Walla is one of three AVAs whose footprint is in both Washington and Oregon. For the past dozen years or so, the Walla Walla Valley Wine Alliance rolls into Seattle. It’s a wonderful opportunity to learn more about the winemakers, wines and wineries. Forty-nine big and small wineries poured new releases and old favorites. 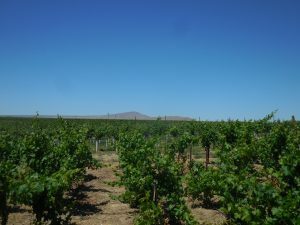 Best known for its powerful reds such as Cab, Merlot and Syrah, Walla Walla also boasts a smattering of other red grapes – Malbec, Mourvèdre, Carménère, and Tempranillo. Having tasted many of these big, rich reds and looking to explore the path less traveled and the tables less crowded, I sought out and sampled the sprinkling of whites, both the usual suspects and then unusual grapes such as Albariño, Chenin Blanc, Roussanne, Grenache Blanc, and Marsanne. A longtime acquaintance who also happens to be a sommelier was there tasting these wines with me. We did the usual comparing to Old World wines with more thumbs up than down. It was a great wine-geeky moment for me. Abeja is probably my favorite Walla Walla Chardonnay because it’s so well balanced. Which means not overly oaked, and not a fruit bomb either. It could easily tie with another favorite Walla Walla Chardonnay – Woodward Canyon’s. And, of course, Waterbrook’s for a nicely balanced and so affordable wine. Abeja sourced its 2015 Chardonnay from Celilo and Conner Lee Vineyards as does Woodward Canyon. Kissed with new and used oak for nine months, the balance between fruit, acids and alcohol is perfect. Abeja’s talented winemaker, John Abbott, honed that balancing act while working for the Canoe Ridge. He’s crafted many harvests for Abeja until the 2016 vintage. His time is now devoted to Pinot Noir under his own label, Devona. Look for it. It’s going to be great. Taking over the winemaker duties are the husband wife team of Daniel Wampfler and Amy Alvarez Wampfler. Both started out at Columbia Crest where they met. Wampfler moved to Dunham Cellars in 2008 when they were a 15,000 case winery. Dunham now produces 30,000 cases a year. In 2010, the Sinclairs hired Alvarez-Wampfler as winemaker at their 1,500 case winery. Sinclair Estate’s 2014 Columbia Valley Chardonnay is aged sur-lie for a year, giving an added dimension to the wine. It’s on the oaky side, having spent a year in 25% new oak. For my palate, I’d give it a year to mellow out. At Tranche, their Blue Mountain Vineyard is sustainably farmed and the low yield harvest produces intensely flavored fruit. Their 2013 Chardonnay, also from Celilo Vineyards, has a beautiful tropical fruitiness with juicy crispness that makes this wine a great candidate for fish, chicken and that other white meat. Please pass the béchamel. The new French oak was held to a minimum 5% for 18 months. It’s ready to enjoy now. Chenin Blanc is one of the world’s most versatile and food friendly wines out there. It was widely planted in Washington State’s teen years but Cab, Merlot and Syrah which command higher prices, have changed that. But there are still old vineyards out there that produce some amazing Chenins from dessert to bone dry. One is Waitsburg Cellars, which has two versions of Chenin Blanc both from the 2015 vintage. The Cheninnieres is a play on the distinctive, dry Chenin produced in the Savennieres appellation in the Loire Valley where Chenin Blanc is widely planted. This wine has wonderful pear notes with a hint of herbs on the nose and the palate. It finishs more than off-dry, making it a perfect accompaniment to cold smoked trout with a mustard sauce. Also located in the Loire Valley is the well-known and well-loved Vouvray, a totally different style from the Savennieres. This wine has sweet, peachy flavors and residual sugar of 3.33%. The beauty is the acidity that balances the sweetness to keep the wine refreshing. Curried shrimp would definitely be the greatest match for this little sweetie. Trust 2014 Riesling was enchanting, with its diesel nose. Perfectly mimicking a controlled German Riesling, balance and all with 11.6% alcohol and 2.2% residual sugar. It’s another candidate for that curried shrimp dish. The Caderetta 2015 SBS is worthy of another glass or two. SBS is short for Sauvignon Blanc Semillon, the traditional white Bordeaux blend. The wine crisp, herbal, citrusy aromas and flavors are the result of 89% of this wine fermented in stainless steel. Pair this with your next herbed vegetable dish, roasted pepper hummus or a Caesar salad and you’ll see. Well, it’s been a pleasure recapping this tasting. Tastings are such a great opportunity to learn so much about the wines that you like. Remember to smell and taste. Then decide if it’s a keeper or not. It’s really just that simple. You like it or you don’t like it and you move on. Your next opportunity for tasting Washington wines is at the mother of all Washington wine tastings, Taste Washington. Over 100 wineries, tons of restaurants serving little bites and seminars for more in depth wine knowledge in case you’re sitting for the sommelier test. Cheers! The plan was to taste Chenin Blancs the first hour and then on to the more unusual red varietals, like Carmenere, Tempranillo, Mourvedre, Petite Verdot, Barbera, Dolcetto, or Nebbiolo. Chenin Blanc is probably the world’s most versatile grape variety. It’s capable of producing some of the longest lived sweet wines and with its naturally high acidity, it’s easily the most balanced of wines. This high acidity is also quite useful for a range of sparkling Chenin Blancs. I thought exploring wineries I hadn’t even heard of would be more educational than visiting the usual suspects. After all, there are over 900 Washington wineries today. Chenin Blanc was first planted in Washington in 1948 from UC Davis stock. My love affair with Chenin Blanc began when Pontin del Roza released their second vintage in 1985. The story of how Scott Pontin’s high school FFA project culminated into a successful estate winery is amazing. Here’s a kid making wine and not even old enough to walk into a bar. However, his family have been farming the Roza since 1954. They began as turkey farmers, and then planted concord grapes and sold the juice to Yakima Valley Grape Producers. The family also farmed wheat, mint, potatoes and sugar beets and apples. Pontin del Roza roughly translates to mean Pontin from the Roza. This pioneering family came to the Yakima Valley and planted the terraced vineyards just as their Italian ancestors had done for centuries. The 2014 Chenin Blanc has 13.6 % alcohol and residual sugar of 2.8% with aromas of lemon zest and melon leading into peach and pineapple flavors that paired wonderfully with Salty’s on Alki’s lobster gyoza with red curry. Ancestry Cellars in Woodinville was offering up their Le Cortege 2014 Columbia Valley Chenin Blanc. The wine is a refreshing lemon, juicy green apple and honey flavors with aromas of honey and white flowers. It has great weight for an off dry style and has a fair amount of acidity. The grapes are sourced from the 30 year old vines at Bella Terra Vineyard. It was fermented in stainless steel for a crisp, fresh wine with a residual sugar of 1.67%, and alcohol at 13.3%. Awarded a Double Gold at the Seattle Wine Awards. On a hillside overlooking the Wenatchee River Valley, Silvara Vineyards is Leavenworth’s newest winery. They recently garnered a Gold Medal at the Washington Wine Awards for their Chenin Blanc. It has the sweetness of melon, apricots and honey with a hint of effervescence. Very impressive for this young winery. The drawback is no distributor. To get a bottle of this wonderful wine, call 509-548-1000 or email info@silvarawine.com It’s worth it! At this point, the plan began to unravel. Blame it on the freshly shucked oysters. Had to have some of the Chinook 2014 Sauvignon Blanc and Palencia’s Albarino, two of my all time favorite wines. My nose led me to Urbane Restaurant’s smoked salmon cake, with Savage Grace next door. Their Riesling vineyards on Underwood Mountain are on a steep hillside high above the Columbia River Gorge. The climate is a natural for Riesling. Flavors of tangerine and lime with wet stone combine to make this delicious Riesling that paired well with the smoked salmon cake. Convergence Zone Cellars is a family-owned winery in Woodinville. The grapes are sourced from some of the best vineyards in the Red Mountain, Snipes Mountain and Columbia Valley AVAs. Their Dewpoint is an off-dry Riesling with aromas of lemon zest, lime and peach. It has bright peach, green apple, and lemon flavors. The juicy fruit and crisp acidity is balanced, and paired perfectly with the Kalaloch Lodge’s Dungeness crab with jalapeno aioli crostini. We’re big fans of Treveri Cellars, a family owned sparkling wine house that produces some of the best Washington sparklers. They producing a bevy of sparkling wines, including Syrah, Riesling and Mueller-Thurgau. We tasted the Blanc de Noirs made with 100% Pinot Noir which had a hint of strawberries and brioche with crisp acidity with a creamy finish. It was en tirage which is French for fermenting in the bottle, for 23.5 months. Swiftwater Cellar’s duck comfit with Asian plum sauce was just the ticket to pair with this bubbly. And then there are the red wines but we’ve run out of room. And just a reminder that the Yakima Spring Barrel Tasting is next weekend. You can sample a new vintage straight from the barrel, enjoy cooking demonstrations, winemaker dinners, vineyard tours and other educational experiences. This is a great opportunity to delve into some of the wineries and vineyards in Washington’s oldest AVA on April 23rd and 24th . The following weekend, April 29 through May 1st is the Gorge Wine Experience This three day series of events is for wine enthusiasts to learn about Gorge wine and meet the winemakers. There are over 20 wineries with activities throughout the Gorge. Much like the clothing industry, the wine industry is getting their spring line up ready for the new season. Three very spring white wines I’ve recently tasted were in the French way – that is made from French grapes and in a very French style. The grapes were Pinot Gris, Columbard and Viognier. Other French grapes often found in the Alsace region and in Germany are Gewurztraminer, Muller-Thurgau, and Riesling. Pinot Gris, also known as Pinot Grigio in Italy, is the grey skinned Pinot grape. Pinot Blanc is the “white” skinned Pinot and Pinot Noir, or Nero in Italian, is the black skinned Pinot grape. There is another, very obscure cousin to these well-known Pinots and that is Pinot Meunier. It’s rarely found outside of the France’s Champagne region. These Pinots cousins have one thing in common besides the “Pinot” in their name. They are mutant ninja Pinots. Pinot Gris is a somatic mutation of the genes that control the skin color. Pinot Blanc is a further mutation and can produce, to further muddy the must, Pinot Gris or Pinot Noir. The DNA profiles of the Gris and Blanc are identical to Pinot Noir. All this superfluous information is given to help you understand what a finicky grape Pinot can be. Recently, I happened across the Willamette Valley Vineyards Pinot Gris and was delighted with the elegance and complexity of the wine. 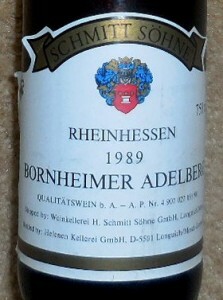 The elegance and complexity can be attributed to several wine making techniques used to produce this wine. The grapes were pressed rather than crushed to produce smoother flavors. Then the juice was slowly fermented at cold temperatures to enhance the fruit flavors. Another technique is sur lie which is the practice of conditioning a wine on the spent yeast cells. This produces an additional flavor profile. In addition, fermenting in stainless steel further enhances the fruit flavors. This would be a great match with salmon whether grilled, smoked or seared. Add a little pasta and a cream sauce and you’re in heaven. Other pairing candidates could include pork and julienned ginger wrapped in lettuce leaves, halibut with chili jam, shrimp salad with garlic croutons or panko-crusted salmon. Another stunning wine recently tasted is the Michel Gassier les Piliers 2013 from southern Rhone. This was also made with care by removing 100% of the stems, cold skin contact for 48 hours, partial racking of the must and fermentation in vats. It’s quite exotic with aromas and flavors of passion fruit, citrus and apricot. Made from 65% Columbard and 35% Viognier, it would pair wonderfully with pasta with Gorgonzola cream, sushi, stir fry or an orange and red onion salad. We’re all familiar with the fragrant Viognier grape but Columbard is something we may have tasted but didn’t know we tasted. Columbard is one of the blending grapes used in both Cognac and Armagnac. The prolific grape, Ugni Blanc, or Trebbiano if you were Italian, makes up about 95% of Cognac production. Trebbiano is one of the most widely planted white grapes in the world. Originally from Italy it is also widely planted in France. It’s most commonly used as a blending grape. Frascati, another wonderful spring time wine, is a blend of Trebbiano and Malvasia Bianca. Under DOC laws, Frascati can be made in either a dry or a sweet style and either still or in a Spumante (sparkling) style. The dry table wines are the most popular. They are labeled as Novello, Superiore, or Novello Superiore. The Trebbiano is more delicately flavored with floral notes that add a striking acidity to the wine. Any fish dish would pair very nicely with this dry wine. And you can pretend you’re on some Italian beach. Another white recently revisited was the Montinore Estate Borealis. Established in 1982, Montinore Estate is a 210-acre Demeter Certified Biodynamic and Certified Organic estate that lies at the northern end of the Willamette Valley appellation. The vineyards are planted to Pinot Noir, Pinot Gris, Gewürztraminer, Riesling, Müller-Thurgau, and Lagrein. The 2014 Borealis is a blend of Gewurztraminer, Muller-Thurgau, Riesling, and Pinot Gris. This blend of grapes covers the full fruit spectrum on the nose with peach, yellow apple, pineapple and bright citrus popping out, accented with whiffs of lychee and fresh rose petals. On the palate it starts with a slightly sweet taste of ripe peach and pear balanced with zingy citrus, which evolves into a delicious crisp finish of tropical and stone fruit. Spicy Asian, Thai or Indian dishes are the way to go for pairing with all that juicy fruit. Riesling has been on my mind a lot lately. For two really great reasons: Hood Canal Shrimp and the pick, albeit reluctantly, for this month’s wine tasting. Riesling is one of the all-time classics, a noble grape variety, loved by beginners and experts for its awesome aromatics, crisp acidity and versatility with all food groups. It could also be the world’s most misunderstood and mispronounced grape variety. (It’s pronounced reece ling, by the way.) Although not the most widely planted grape in German vineyards, it is the most prized with some of the most expensive little bottles of white wine you will ever see. Riesling is one of my favorite wines. Wine made from Riesling is unlike any other. It is generally light in alcohol, refreshingly high in fruit, natural acidity and is capable of aging for decades. Like Chenin Blanc, it does well if fermented cool and bottled early without any malolactic fermentation or oak. Where the grape is planted determines the style of Riesling you will purchase. Riesling actually ripens early, so when planted in warmer areas, its juice can be sweet and flabby. It needs some time in cool nights to build up the acidity to balance the sweetness. In cool climates, like Germany, the Alsace, Washington and Canada, it’s a late ripener and had time to develop flavors, aromatics and acidity. Müller-Thurgau, the most widely grown and productive German variety and a Riesling cross, will ripen just about any place. But Riesling will only ripen fully on the most special sites, those with the most sunlight so that it stays on the vine well into fall. Riesling from the Mosel and its even cooler tributaries the Saar and Ruwer is one of the wine world’s most distinctive, least imitable wine styles: crisp, racy, refreshing as a mountain stream and with a hint of the slate that covers the best sites. Riesling is also very successful in the Alsace region of northeast France, where 95% of the wines produced are white. Here in the Vosges Mountains, some of the best dry, steely Rieslings can age for a decade or two. Traditional cellars have huge oval vats, usually built into the cellar to store the wine. Inside these 100-year old vats, the walls are lined with a build up of tartrates so the wine never touches wood. On the west coast, Riesling has been cultivated since the 19th century, by the early Germans, of course. The Beringers, Krugs, Schrams, Gundlachs and Bundschus were instrumental in planting acres of Riesling in California. All well and good until the 1970s when sweet wines fell out of favor and Chardonnay began to overtake Riesling in acreage. In Washington State, Riesling has found the most suitable home outside of Germany. With 6,900 acres planted in eastern Washington, Chateau Ste. Michelle makes more Riesling than any other winery in the world. And then take into account Columbia Crest, Hogue and Covey Run also helping quench the thirst for Riesling. A respected Mosel wine family, the Langguths, arrived in Washington in the early 1980’s with plenty of cash to build a winery. Opened in 1982, it was the largest facility in the State. In 1987, Snoqualmie Winery bought controlling interest in the winery, and installed Mike Januik as winemaker and changed the name to Saddle Mountain Winery. In 1991, Chateau Ste. Michelle bought the facility and it’s used for crush and storage. And that brings us back to what wine for the Wine Club’s Tasting? What could I possibly find to turn them from reluctant Riesling tasters to wow! This is really good. So a scan of the Cellar lifted my hopes. But it’s a tough decision. Will it be 1987 Gordon Brothers, 1988 French Creek Cellars, 1993 Bookwalter all bottled for Whaling Days, or the 14 year old Claar Cellars Late Harvest Riesling? I might also take a 1983er Eitelsbacher Karthauferhofberg Burgberg Auslese or a 1989 Schmitt Sohne Rheinhessen Bornheimer Adelberg Qba just to acquaint these junior palates with the heights that Riesling can rise to. This weekend is the perfect time to become reacquainted with Washington Rieslings. I look forward to Hood Canal Shrimp on the barbie and some old, old favorites. My favorite go-to wine with vegetables, especially the green ones in Ann Vogel’s Leek and Spinach soup, is Sauvignon Blanc. In many ways, it’s more like a red wine than its white sisters. Which isn’t too surprising considering it’s one of the parents of the Cabernet Sauvignon grape. Sauvignon Blanc can be highly aromatic, with herbs, minerals, and citrus. It’s pungent, grassy, citrus flavors can be minerally, grassy, hay, green pepper, lemons, lime, grapefruit and/or gooseberries and refreshingly acidic. It all depends on how and where it is grown. Sauvignon Blanc also has a tendency to overwhelm or clash with more delicate dishes that pair well with other less assertive wines. But Sauvignon Blanc’s herbal aromas and racy acidity harmonize with vegetables very well, and the pairing is a bright and fresh on your summer table. And tangy citrus notes in the wine also make it a delicious pairing for dishes that need a bright note of citrus like a shrimp salad or Leek and Spinach soup. The bracing acidity of the wine also makes a perfect match to cream soups or other dishes that lean towards the thick, rich side. Each taste of wine cleans the palate for the next sip of soup. Brancott 2013 Marlborough Sauvignon Blanc is a classic New Zealand Sauvignon Blanc with ripe bell pepper aromas and hints of gooseberries. The rich fruit and crisp mouthfeel make this a winner with Ann Vogel’s Sautéed Leeks and Carrots. Around $11. Chateau Ste. Michelle 2013 Horse Heaven Hills Sauvignon Blanc wine offers fresh aromas of herbs with a beautiful floral note. A touch of Semillon and partial stainless fermentation makes for a more complex, rich wine. It’s fresh and lively, with apple, citrus and a bit of herbs in the finish. Around $13. Geyser Peak 2012 California Sauvignon Blanc has that bracing acidity with flavors of limes, lemons, and hay. The lime note in Sauvignon Blancs is distinctly New Zealand wines but perhaps the Australian wine maker knows the way to get it in American wines? Waterbrook 2012 Columbia Valley Sauvignon Blanc, a long time favorite winery with big production and excellent quality. This wine is 100% Sauvignon Blanc fermented in stainless steel for a wine that is all citrus and little herbalness to it. Around $12.